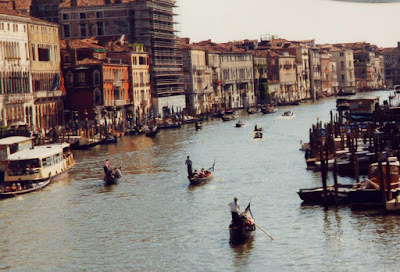 collection of travel photos. My Europe trip scrapbook is almost complete...almost! Just a few more pictures of our last night there . . . when I realized ten years have passed since then! 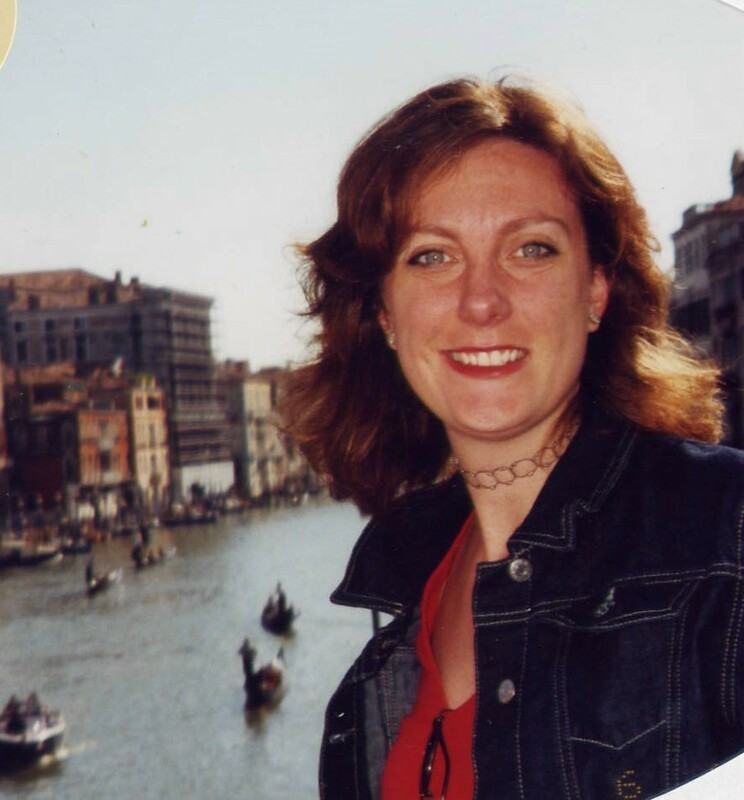 I decided to take a trip down memory lane.... back to June of 2001. My chances of getting back to Europe are kind of slim now that I have Bebe... but maybe someday we can go together! 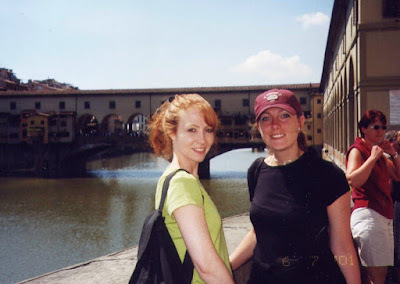 Anyway, here is a shot of my friend Sharon and I in Florence, Italy. That is the Ponte Vecchio behind us. A very famous "shopping" bridge. The Grand Canal in Venice. I accidently tapped the photo in the scanner (before I had a digital camera) so it looks like the water is going downhill...tee hee! Here is Sharon along the same body of water. We were so young then... we had just each met our future husbands before we went on this journey together. So young! And we had so much fun! Now she has three children and I have Bebe. Time changes everything, doesn't it? I remember this was a beautiful day in Amsterdam. We packed a lunch (leftovers from breakfast) and strolled along the canals. The Anne Frank house was our destination but the line was so long we had to skip it. And here we were in Paris. 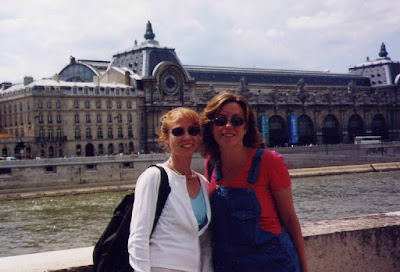 That is the Musee' D'Orsay behind us. A fabulous art museum. Well, ten years are behind me... what will the next ten be like? Time to plan another trip, I say! PS... A Happy Father's Day to my awesome Dad and to my Dear Hubs... thank you for all that you do! Thanks for the walk down memory lane. 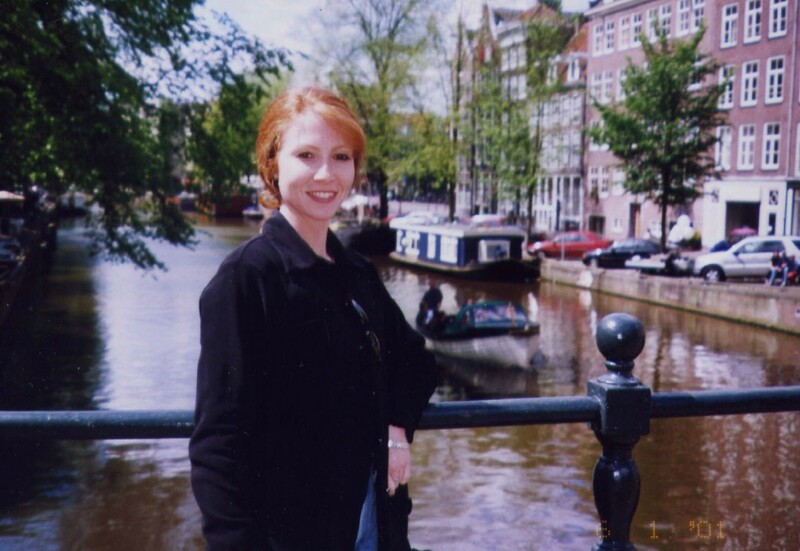 I'm so glad you had an opportunity to take this trip to Europe with Sharon. Now it is ten years later and you both have so much more to look forward to and many more memories to make. P.S. Hop on over and see my trip to the Ladew Gardens. Oh, what a fun trip and I love the pictures! Hope you have a wonderful weekend!!! I had a trip like that with my girlfriend...but now it is 16 yrs ago we went to Paris for a week! And you are correct,life changes!